Welcome to second post of the first series on this blog – ‘I Am That I Am’. This series is going to introduce you to me, my story, and hopefully show you how I can help you to live a healthier life. In the first post we covered my mental disorders. In this post, we will cover my physical issues and how I’m finding relief. If you’d like to discuss anything with me, you could “Like” my page on facebook and send me a message or join my new facebook group. First I’ll state what each one that I suffer from is; each followed by a brief description. Then I’ll discuss a little about my experience this far in life. Sciatica (pronounced sigh-at-eh-kah) is not a medical diagnosis in and of itself—it is a symptom of an underlying medical condition. Common lower back problems that can cause sciatica symptoms include a lumbar herniated disc, degenerative disc disease, spondylolisthesis, or spinal stenosis. Many people don’t realize that migraine is an extraordinarily prevalent neurological disease, affecting 39 million American men, women and children and 1 billion worldwide. Everyone either knows someone who suffers from migraine or struggles with migraine themselves. It is the third most prevalent illness in the world –12% of the population, including 18% of American women, 6% of men, and 10% of children – has migraine. Nearly 1 in 4 U.S. households includes someone with migraine. Migraine can be extremely incapacitating. It is the sixth most disabling illness in the world. Every 10 seconds, someone in the U.S. goes to the emergency room complaining of head pain, and approximately 1.2 million visits are for acute migraine attacks . While most sufferers have attacks once or twice a month, more than 4 million adults have chronic daily migraine, with at least 15 migraine days per month. And many have a migraine just about every day. I first noticed signs of Rheumatoid Arthritis (RA) when I was 10. Ofcourse I had no idea what it was or what was really going on. I just happened to notice my fingers began to look different. I didn’t have any pain yet. I don’t remember when the pain started exactly, but it was my teen years. As I got older, the pain got worse. My fingers are now visibly deformed or twisted. Not severely, but noticeable. I also get a lot of pain in my knees. Often times the pain gets so bad in my knees I can’t walk. I have to stand there, or sit, for a few minutes until the pain subsides a little. I also can’t stand or sit in any one position too long without my knees locking and it becoming very painful as I try to move and change positions. My hands typically become painful as I try working. The more I do, the more they begin to hurt. At times my hand or individual fingers will go numb, but it’s a painful numbness if that makes any sense. Depending on what I’m doing, my fingers will tend to lock in position and is painful trying to get them to move out of the locked position. My pain in my knees is probably worse than that of my hands or feet. Though when the pain hits my hands or feet, you would most likely know I’m in pain looking at me. I gave myself sciatica at the age of 21. I was working my overnight job. The nightcrew was responsible for unloading the trucks and putting fresh stock on the shelves. This particular night I was assigned to the furniture department. I was the only one in the department, had most of it done with just the larger pieces left. I wasn’t the kind of worker who enjoyed standing around wasting time waiting for someone to help. So, despite knowing this needed a team lift, I lifted it myself. Or at least I attempted to. I heard a huge crack in my lower back as I went down with tears in my eyes it hurt so bad. I literally could not move or get up for about 15 minutes, maybe 20. I spent the rest of the night in the break room waiting for the company doctor, who informed me I had sciatica. I was ordered to take a week off and given prescription after prescription of pain killers. Eventually I just stopped taking them and stopped having the script changed because every single one caused my skin to turn yellow. I started popping over-the-counter pain medications and slowly learned how to deal with the pain. The more time that goes by, every year I get older, I regret that much more not waiting for a team lift. My back pain just continues to get worse. As a fisherman, it’s hard to hit the water and do my job without killing my back. Because of the work I’ve done most of my life, and currently, I’ve had to learn to deal with the pain. Whether I was doing stock at a retail job, cleaning a client in my former janitorial business, or running lines and pulling lines for my fish market, the pain endured is relentless and multiplies a hundred-fold after the work is complete and I stop moving. More oft than not, my days off would be spent recouping and recovering from the massive pain I gave myself just to make a few bucks so I can cover my bills. As if this pain wasn’t enough, I also suffer from migraines. I get headaches frequently, often they evolve into full blown migraines. When a migraine hits, my head is pounding almost like you can feel it beating. You know how your heart pounds when it’s racing real fast? That’s how my head feels during a migraine. It’s almost impossible to get up or stand up without it intensifying and getting dizzy. Sound and light is unbearable and seemingly makes it worse. Often times during the dizzy spell my vision is also temporarily blurred or blacked out entirely. Sounds fun, doesn’t it? Now picture a day out working so you’re back and knees, and possibly hands, are already in excruciating pain, then a migraine hits. Not a very enjoyable experience, but there is relief. It is possible to get relief without all those over-the-counter drugs. But I’ll get to that in just a second. I’m not an insulin-dependent diabetic, and it’s hard to say when it developed. Diet is a part of the creation, or onset, of prediabetes and Type 2 diabetes. As such, I do believe that through a proper diet and proper nutrition, prediabetes and type 2 may be cured over time. I also believe type 1 may find relief through proper nutrition. I believe my diabetes developed because I grew up on junk food; not just snacks but things like hot dogs, ramen noodles, etc. We ate the cheapest of the cheap food. Considering the lower quality food may be more affordable, it’s also chock full of fillers, artificial colorings, and other chemicals and additives that are toxic to our bodies. Without proper nutrition, our body can’t function as it was designed to. So whereas lower quality food may fill us up and keep us alive, our bodies aren’t functioning properly. Due to this, my body evidently can’t handle sugars. When I eat foods high in sodium or sugars I quickly grow tired and often times pass out. At work I would try to counter this by downing energy drinks and coffee, just to wind up passing out in the parking lot after work or immediately upon getting home if I made it that far. I also carry drinks with me everywhere I go because I seem to be thirsty frequently, more so than the average person. At my jobs, I would carry my drink in my back pocket, or if I wore cargo pants my drink would be in my side pocket. It’s not particularly fun or easy to go through life when you have to wonder if you’re going to pass out after your break at work, having excruciating pain kick in at work, or wonder if you’re going to pass out after work before you’re even going to get the car started. It’s frustrating, especially coupled with the depression and anxiety I covered in the previous post. As I learned about myself and my issues, I increasingly became interested in non-GMO and organic foods and products. Changing your diet, even a little at a time, does help. But there’s more that can be done to find relief and possibly prevent further complications down the road. Considering instituting a complete dietary change to strictly non-GMO and organic foods could be rather expensive, I searched for non-GMO or organic supplements that could be taken that would guarantee absorption. People with auto-immune diseases, such as diabetes, have problems with absorption. Most supplements, even in a healthy body, aren’t absorbed because the supplements are made using synthetics or other variants of the nutrient that our bodies weren’t designed to absorb. So finding the right supplements were important. I’ve literally tried and tested the vast majority of the supplements you will find in supermarkets as well as a few found through network marketing and direct sales companies. I finally found what I was looking for and I am finding relief. 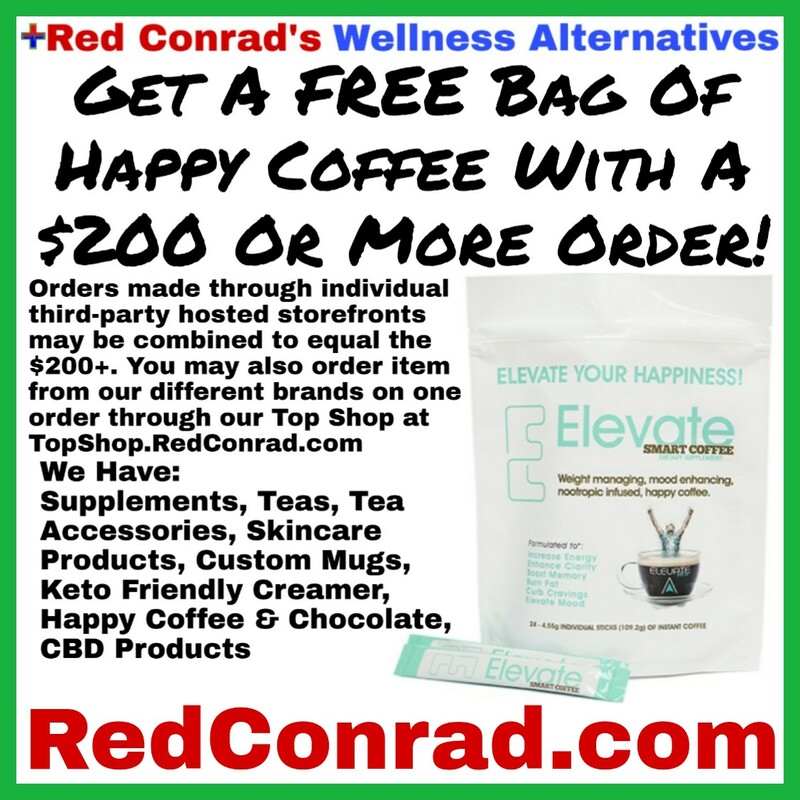 With these products, I am no longer passing out after every meal and my pain is much more manageable when I do feel it. I’m not suggesting you will wind up pain free or cured. I am saying you will find relief. But I do strongly believe that through proper nutrition and strictly non-GMO and organic diets, we could essentially cure and prevent many ailments simply due to our bodies having the ability to function in peak performance. For diabetes, you need to allow the body to function properly so it can perform as it was designed to. I recommend the Super Vitamin & Minerals, which can be found here. The vitamins offer many benefits, but the primary benefit I’m focusing on for purposes of diabetes is the digestive support. I also recommend taking the Meal Shakes (which come in awesome flavors – also found here). For optimal results, you would drink the shake for breakfast with your vitamins. The shakes are rich in nutrients that will aid in the body’s ability to function properly. For optimal results, please allow 4-8 weeks. Results will vary based on the individual. I felt results pretty quickly, but it took about 8 weeks to really start seeing the full benefits. You may see results earlier or later than I did. These statements have not been evaluated by the Food and Drug Administration. This product is not intended to cure or prevent any disease. Keep of out reach of children. Not suitable for individuals under 18 years of age. If you are pregnant or breastfeeding consult a doctor before using this product. If you are taking any medication, or have any type of medical issue, consult with a doctor before using this product.